Can anyone help me... why does this happen? When i try add Murcielago or M3 E92 to the game this happen. I´ve already changed the overhang values but with no effects. And, what vehicles used in the base of the change? Depending on the vehicle it may not have that changes be reflected. Yes, i click on "Apply". When i change the overhang values the wheels move forwards or backwards... but never get centered. And there´s another problem wich can be associated: the car doesn´t move. I used the unreleased vehicles for Murcielago and for M3. With the Audi Quattro i had no problem, it worked perfectly. Which unreleased vehicles used for Murcielago? I also try to replace and want to confirm that problem. Can you check the Id-camera, Id-car and same_IK of the vehicle that was used to order to replace the Murcielago? You can see those IDs value in the "Miscelloneous\Sensitive data" panel. I'm currently investigating the details. Please do not change the folder name of the rim till fix will be provided. The game may not start when the file "dbdata.cpr" is corrupt. When you fell into that situation, please use "Restore" button on the "Settings" page. 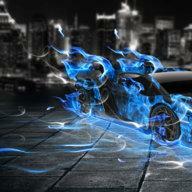 The unreleased car that i used it was the Murcielago, only. The original mod replaces the Enzo. The Id-camera, Id-car and same_IK it is 339. Happen the same with the BMW M3. As i said i use the Audi Quattro (unreleased) to add the Audi Quattro and had no problem! This is my result. :confused: Could you show me the TDU2VPE's version? I guess that i found the problem. I use the unreleased Murcielago to add the Murcielago LP640. This mod originally replaces the Ferrari 599GTB Fiorano. In the "Dimension" tab you have to change all original values for the Ferrari 599GTB values. If you do that the wheels gonna fit well. ignore the folder name, i am up to date with latest VPE tools. Setting of "Root folder" seems might be incorrect. Root folder must be set the folder that contains the "TestDrive2.exe"
I made a tool to retrieve the data of tire combinations in the dbdata.cpr. When put in the same folder as the TDU2VPE it might be convenient. Please use if like this. - Click "Read db" button to read out the tire combination data. - When click the column header, you can sort in ascending or descending order by the values in that column. I can just export the data of the 12c for the new mp4 and change a few files such as .bnk and everything should be ok? Please help me. I have error "The vehicle XXXX has not found". I have a TDU2 and i unpacked it with Unpacker program. But i don't know what version my TDU2 is. Can you help me pls? @binbow: I've never tried this tool but would like to know something. If I have 2 Zonda Cinques or more in different houses can I edit the stats and performance of each one of them individually or that's impossible? Last question: with this tool can we edit the performance data for each tuning level of a car as well (besides the default car settings)? Thanks for any feedback. I think that it is a normal MOD may be considered in the same way. Change the data of the vehicle and save it replaced with the ID of another existing vehicle. Do you get the same error in all of the vehicle? Or it will occur the error only in a specific vehicle? Vehicle has been managed by the ID code to each vehicle type. The same model with same ID can not have the different characteristics each. You can change the items related to driving performance, such as maximum speed, gear ratio. Tuning level is not changed. All vehicles gives the same error. Also i fallowed all instruction. How do i know what TDU2 version i have? Does the game start without any problems? And, you can check TDU2 version if use the Universal launcher . Fixed a bug that dbdata.cpr is broken when change the rim file name. I was treying to install this thing again, what was that program that allows you to change the CPR to DEC and other way around? Is it possible to make it possible to edit the database of traffic cars? that would be great! In order to generate a dbdata.dec from dbdata.cpr, it requires tdudec.exe. Hmm..both the location and name do you can not be changed?Did it mean the dealer with the location? Traffic vehicle would be able to be changed. But, I think that it is not possible to change the brand name and model name. I understand that you cant change the name and brand but maybe you can change the specs and maybe put them in car dealers? Besides, when I try to put a car that's not in a dealer (i.e. Ariel V8) inside an existing dealer, it says "List index out of bounds (214)". Where is the dealers that you tried to put the Ariel V8 is? I was able to put no problem to the British north dealer in Oahu. It may be difficult if there is no model name to be put in the dealer. Besides, traffic vehicle is almost the case that interior design is not prepared. Are you sure you still want to ride it? There is a kind of a model name for traffic cars like: Ibiza low A or Traffic limousine but i understand what you mean. And yes i know there isnt a good interior for the traffic cars but its funny to drive them so if there is a possibility you can put them in the property editor that would be great!